"We live to see another day." 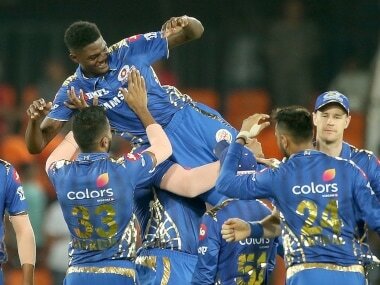 Mumbai Indians all-rounder Kieron Pollard beams somewhat in relief after a do-or-die win over Kings XI Punjab in the Cricket Fever documentary which showcases the journey of Mumbai Indians last season. It was pretty much the theme once Mumbai had started on the back foot. A journey oscillating between relief and anxiety couldn't extend to the playoffs as they fell tantalisingly short against the already-knocked-out Delhi Daredevils (now Delhi Capitals) in what would prove to be their last match of the season. That game in a way was encapsulated the defending champions' ride through the season. Sedate start. Languish behind. Suddenly wake up. Hit the fifth gear. Resurgence. It's a trope Mumbai seem to have developed in the last few years and would desperately want to get rid of. Last year, they lost five out of their first six games, resuscitated before falling short as their fortunes and emotions swung more than an empty trash can in a hurricane. Four years ago, they had won the trophy in a similar situation. Bouncing back from five losses in first six matches in the 2015 season, they clinched their second title. But couldn't repeat the heroics next season after another slow start. 2017 is the season where they veered away from the norm with a strong start, winning six of the first seven matches, and strode out champions for the third time. The difference between 2015 and 2018 seasons was Mumbai won the battle of nerves in crunch moments three years ago. Last season, six losses out of eight matches came in the last over; it explains why the emotions yo-yoed endlessly. There is every possibility that the players might have gone, 'Ah! We would have/could have/should have won that match' watching their journey unravel through the documentary. There were times when they gained the ascendency but ended up squandering the advantage. There were times where they left it too late. And as they head into the new season now, they would want to hit the refresh button. Acing the pressure situations and finishing off matches will be the key and so will be captain Rohit Sharma's form. Mumbai Indians' Director of Operations Zaheer Khan said that a lot of emphasis will be given on decision making this season. 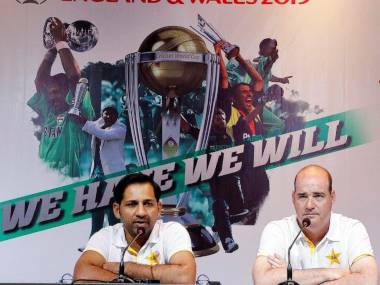 "I think what is going to be crucial for us this season is to have an emphasis on the decision making which decides the outcomes of the matches, especially in the pressure scenarios. 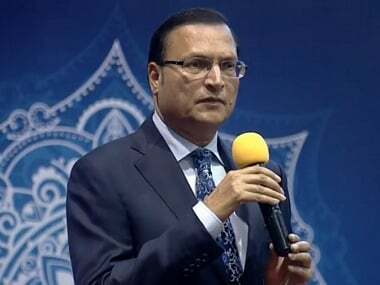 We want to create an environment where everyone is free to express themselves," the former India pacer said in the pre-tournament press conference. Rohit knows the importance of winning those crunch situations, but rather than looking for different options to finish off the games, he is expecting every individual to put his hand up in pressure situations and guide them past the finish line. "In that (crunch) situation, whoever is handling the job, whoever is at the helm of the responsibility of that particular situation needs to take care of that," the MI captain said. 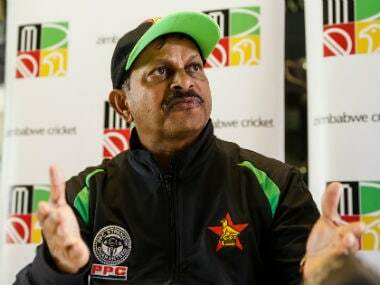 "Whether it's a batsman needing 15-20 runs off the last over, or a bowler defending 10 or 15 runs are required, how he can deal with that situation. So it lies on the individual at that particular time. 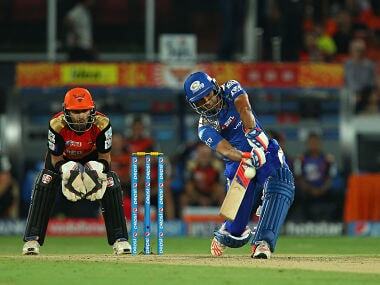 Rohit forms the cornerstone of this Mumbai batting line-up and his inconsistency hurt Mumbai last season. He endured his worst season in the IPL where he amassed less than 300 runs (286 at an average of 23.83 with two 50s) for the first time in 11 years. Rohit Sharma averages 44.71 (Innings - 52, Runs - 2325, Average - 44.71) in the matches that Mumbai Indians have won, it's the highest among players who have scored at least 500 runs for MI in victories. It underlines the importance of Rohit's batting. The 31-year-old juggled between 3,4 and 5 positions through the season after opening the innings in the first two games. This season, though, he has confirmed to opening the batting keeping in mind the World Cup and his record in national colours in that position. Going back to open the innings could serve as a straw that could break the camel's back. He has his best average opening the batting in the IPL — 40.87 from 19 innings which is a sharp upswing from No 3, 4 and 5 where he averages 25.56, 32.77 and 33.12 respectively. The middle order too will need to step up. Last season, it blew hot and cold. One of the reasons MI bought Yuvraj Singh was to lend experience, control, and stability in the middle and that is also one of the reasons that has allowed Rohit to head back to the opening slot. The franchise has high expectations from the southpaw. Yuvraj himself is looking to revive his dwindling career and his role becomes crucial given the position and circumstance. Another player who would be raring to get back to his best is Kieron Pollard. The Trinidadian, who has been an integral part of the franchise given his match-turning and winning abilities, endured a rare tough season last year, averaging just 19 flip-flopping in and out of the side. However, the franchise has shown trust and faith. Pollard is a leader on and off the field and his return to form will lend further solidity to the middle order. "Pollard has been playing a very influential role as far as MI's success is concerned. He recognises how critical his role is going to be this IPL and we are just looking forward to him also providing that kind of impact this season because we have faith in him," Zaheer said in the pre-tournament conference. Like in the past, Mumbai have a solid squad heading into the season. It's the year of the World Cup and the foreign players are set to depart early. And this is where the strength of the Indian contingent will become pivotal. Mumbai has a strong Indian batting core with the likes of Rohit Sharma, Hardik Pandya, Jasprit Bumrah, Krunal Pandya, Ishan Kishan, and Suryakumar Yadav. There is competition in the bowling department and a probable selection headache in terms of picking foreign pacers from the lot of Mitchell McClenaghan, Adam Milne, Jason Behrendorff and the comeback man Lasith Malinga. From being a bowling mentor last season to a teammate again, Malinga's fortunes have swung drastically and he brings in the experience and the decision-making ability which is central to MI's plans this season. He, however, won't be available for the first six matches having opted to play domestic cricket back home in a bid to qualify for Sri Lanka's World Cup squad. With Hardik recuperating from a sensitive lower back injury and Bumrah's workload likely to be monitored, MI have a concern with a back up Indian pacer. They bought Barinder Sran for 3.4 crore in the auction but he hasn't had much of an impact in the domestic arena. In the four seasons in the IPL, he's played just 22 matches averaging 39.22 at an economy rate of 9.22. And then there rookies Pankaj Jaiswal and Rasikh Salam who don't have much experience. Mumbai might not be affected much by the foreign departures as West Indies and New Zealand players are expected to play the full tournament. Quinton de Kock, who has been in sumptuous form for South Africa and will in all probability open the batting with Rohit, may leave early, but MI have plenty of back- up options in Evin Lewis, Ishan Kishan and Suryakumar Yadav who was MI's highest run-getter last season (512 runs at 36.57). Suryakumar will probably bat at No 3 and if there is one area he would be looking to improving upon is converting the starts into long innings. Rohit hinted that Mumbai batsman Siddhesh Lad, who has been knocking continuously on the selection door with consistent performances in domestic cricket, might finally get a chance after being on the fringes for the last four years and could be utilised as a surprise factor. Krunal Pandya will have to take over the mantle of lead spinner given the inexperience in the spin department. Mayank Markande, the find for MI last season, would have grown in confidence following India debut and his support to Krunal will be crucial. Their roles will demand consistency given that tendency of Wankhede track to slow down as the season progresses, Jayant Yadav's lack of domestic form and the back-up options Rahul Chahar and Anukul Roy having relatively less experience. Last season was an eye-opener but more importantly, a season full of learnings. "I am very disappointed, I am hurt. I guess that is sport. You know in battle you lose sometimes you win sometimes but that doesn't mean you are a bad warrior. I think we are going to come back stronger next year," Rohit reflects sitting inside the dressing room after the loss against Daredevils, at the end of the documentary. Yes, they have come back stronger in the past and they have to capability and personnel to do it again. 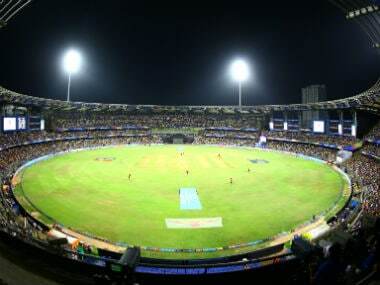 Possible starting XI: Rohit Sharma, Quinton de Kock (wk), Suryakumar Yadav, Yuvraj Singh, Krunal Pandya, Kieron Pollard, Hardik Pandya, Mitchell McClenaghan, Mayank Markande, Lasith Malinga, Jasprit Bumrah. Squad: Rohit Sharma (C), Hardik Pandya, Jasprit Bumrah, Krunal Pandya, Ishan Kishan, Suryakumar Yadav, Mayank Markande, Rahul Chahar, Anukul Roy, Siddhesh Lad, Aditya Tare, Quinton de Kock, Evin Lewis, Kieron Pollard, Ben Cutting, Mitchell McClenaghan, Adam Milne, Jason Behrendorff, Lasith Malinga, Jayant Yadav, Anmolpreet Singh, Barinder Sran, Pankaj Jaiswal, Rasikh Salam, Yuvraj Singh.